It's been a minute since I've done a Get the Look post, and I'm glad I took a little break, because now the most-saved looks from my Outfit Ideas for Ageless Style board on Pinterest are totally summer-focused. It's a lot of pretty summer dresses and strappy sandals, and who doesn't love that stuff? This week's most-repinned look has both of those things, plus a very of-the-moment round bag. It's getting hot outside, so let's get to it! The key piece here is obviously the dress, and I was quite happy that I found this button-front slipdress from Topshop. The fabric is a nice and airy linen/viscose blend, which is perfect for summer, and while the color is a bit more on the blush side, the price is a very nice $55. I've already added it to my bag. 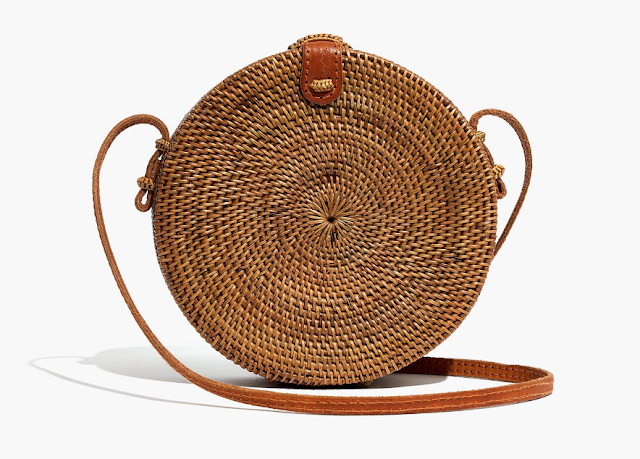 Next is the very of-the-moment round bag; this rattan Madewell version is woven by artisans in Bali and has leather trim. Here's a slightly more affordable version, however most of the reviews complain about the smell of the bag—my favorite is the one that says she always knows where her daughter is because of it! I am also really into the sandals in this photo, which look like a buttery-soft suede with a nice low heel. 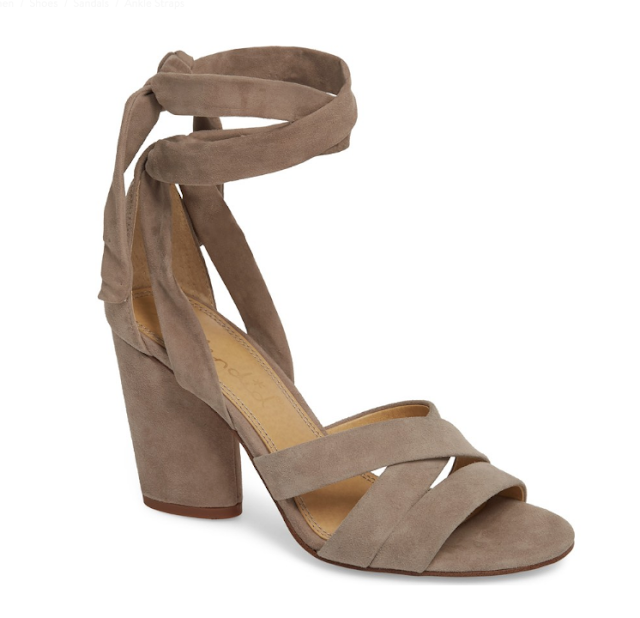 These Splendid Fergie sandals are a bit more taupey but still neutral, and they have rave reviews for their comfort. 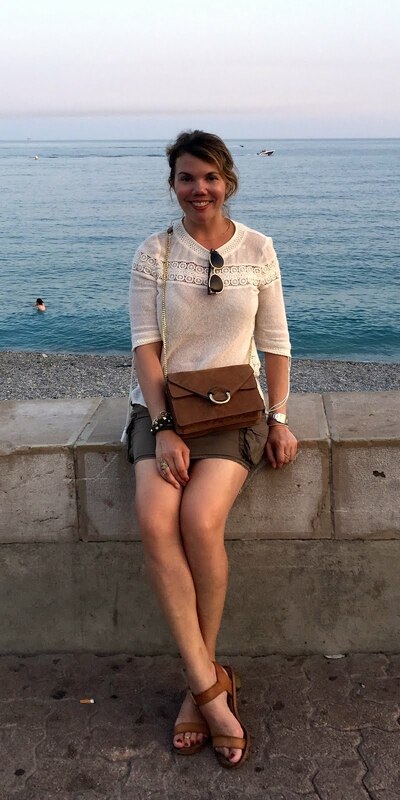 This outfit is pretty minimal, all things considered, but it does look like the woman in the photo is wearing a bracelet or two. 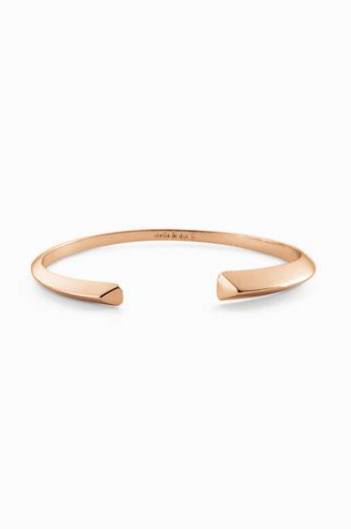 I'd go for something like this Open Wave cuff, which I own and love, and bonus, it's currently on sale too. I have really been loving round and stray bags this summer. I need to get one! I also love this simple dress, so pretty and could be dressed up or down! I love the sandals from the first picture with a pink dress. The bracelet is also very cool. About the bag and the smell thing - I have to say that if I read it a year ago I would be like: "what is she saying?" but recently I bought jeans, well "jeans", from H&M shop and it smells terribly! I thought the smell might go off with washing and it never did! Complete waste of money. Thanks so much for sharing your post with us at Welcome To The Weekend Blog Hop. Bag check. Strappy sandals check. 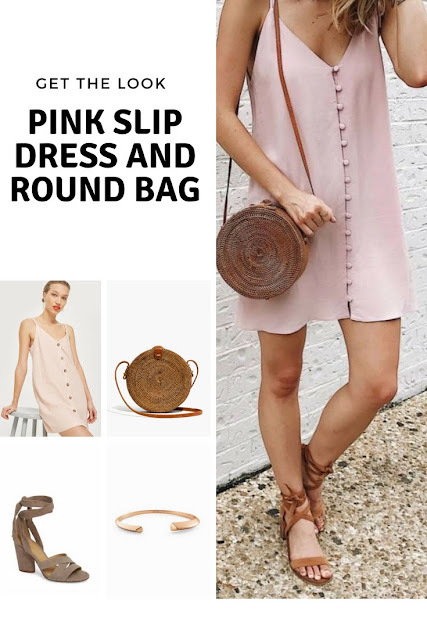 Now, I love this soft rose pink dress. So pretty and cool for the hot summer! this is such a perfect summer outfit combo! This outfit is gorgeous. I love the dress, the button details and the light shade of pink!